This common surgical procedure corrects protruding ears. The surgery can be performed on adults as well as on children usually over five years of age. It is often recommended at an early age to help alleviate the psychological trauma associated with teasing and harassment at school by other children. 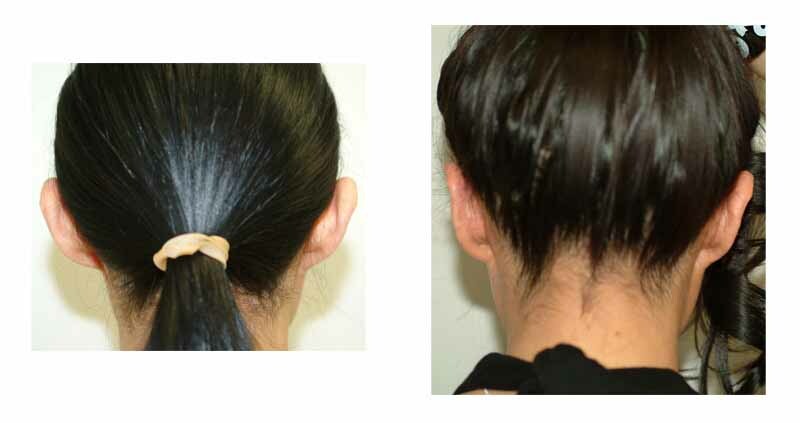 FOtoplasty is performed by making incisions in the back of the ears to expose the ear cartilage. It may be necessary to remodel or remove some cartilage before the ear is repositioned. Sutures are then used to maintain this correction. The exterior skin is sutured and the ears bandaged for several days to protect them in their new position. Sutures are generally removed within a few days, unless absorbable sutures are used. This procedure can be performed in our office or out-patient surgical center. Although general anesthesia may be recommended for young children, many patients also do well with an IV sedation and local anesthesia. The improvement from surgery is readily apparent, although it generally takes several weeks for final results to be evident due to swelling and other natural changes that are a result of healing. Swelling and bruising usually disappear within a week or so, and patients usually return to full activity within two weeks. A headband will often be recommended for a period of time after the surgery to protect the ears from trauma or bending. Most patients are back to work or school in one to two days. Discomfort is mild and rarely is pain medication required.